Starting today, all players who pre-order Battlefleet Gothic: Armada 2 on Steam will also receive access to a week-long beta ending on December 12. This is the perfect opportunity to get an early look at Warhammer 40,000’s spectacular battleships, experience all of the original tabletop’s 12 factions and their playstyles for the first time in skirmish and multiplayer, as well as learn the basics of Battlefleet Gothic: Armada 2’s epic battles with the campaign prologue. Our second pre-order beta will debut in early January, running up to the launch of the game on January 24 - more details on that are coming soon. Battlefleet Gothic: Armada 2 releases January 24 on PC. Pre-order before December 12 for instant access to the first pre-order beta, including skirmish and the campaign prologue. A second pre-order beta will run before release. 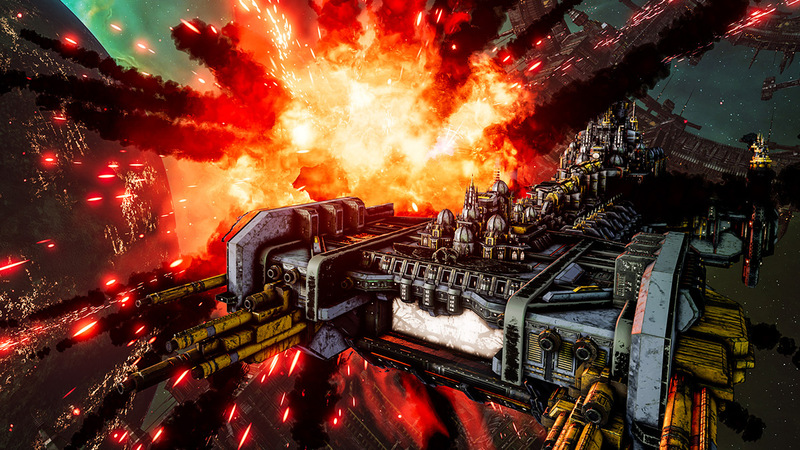 Pre-orders receive a 10% discount ahead of launch, 25% if they own the original Battlefleet Gothic: Armada.